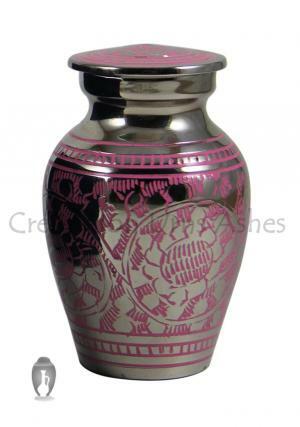 This Pink Bear Infant/Baby Urn comes with the subtle engraving of a bear in pink color all over its body. The cover closes on a threaded rim, so that the lid is closed completely. 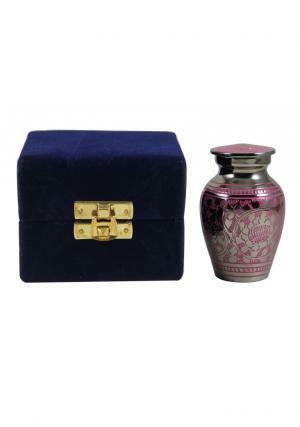 This baby urn comes with its own box, so one can preserve it by keeping it in the box itself, ensuring that it is safe from external wear and tear. 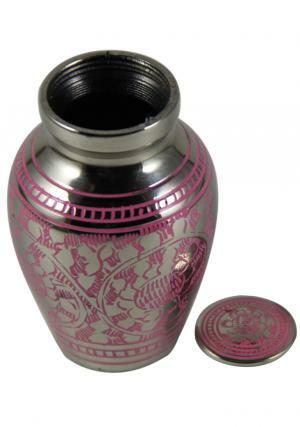 This can also be used as a keepsake urn, one in which a part of the ashes are stored, after the major portion of the ashes are stored in another urn somewhere. 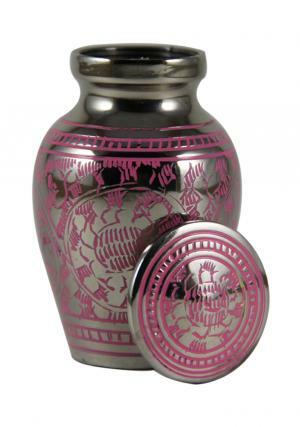 It is made of brass, and is about 2.8 inches height, ensuring that it can be kept in almost any corner of the house, in a subtle manner, so that it does not disturb the décor of the house. 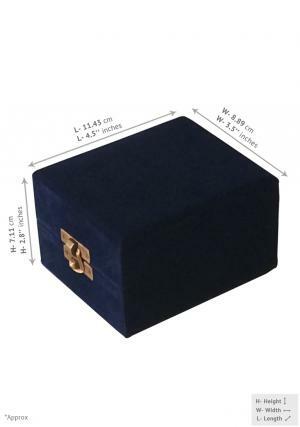 The brass material ensures its strength and durability. It weight around 0.3 kg. 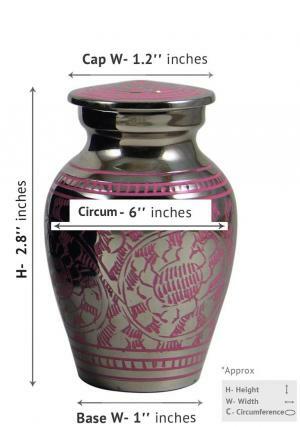 It could either be the primary urn, or the secondary urn for the family.